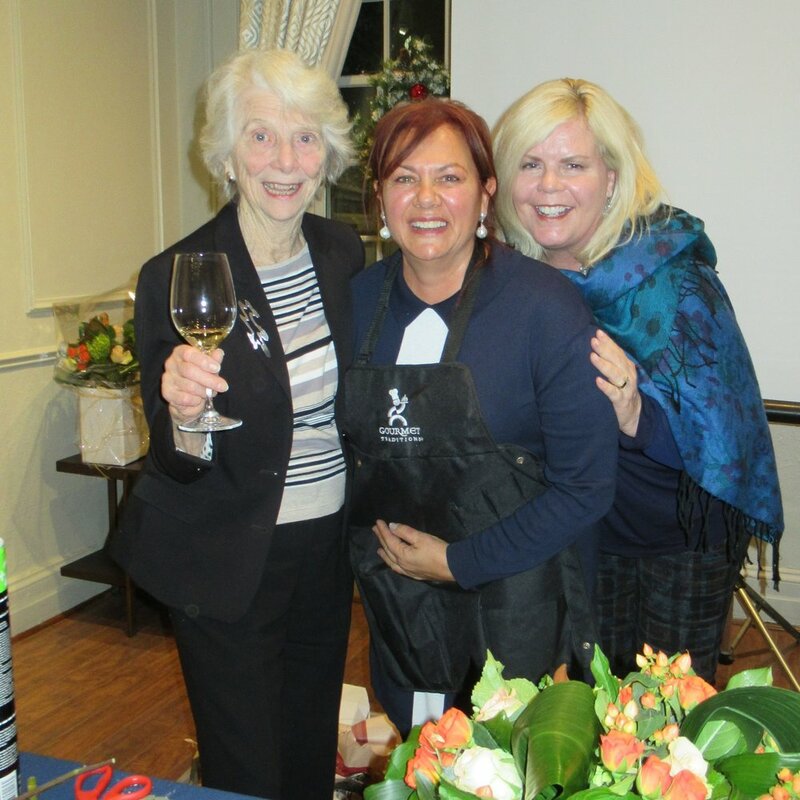 The University Women’s Club of Toronto holds social, cultural, and educational events throughout the year for its members. Spotlight on Us is a popular monthly event, giving one member the spotlight to share something about herself - a passion, an interest, a career, a life story. We have enjoyed a wide range of discussions from psychology to community advocacy to amazing travel slide shows. Wednesday April 24 at noon - Hart House Art Tour. Event Convenor Wendy McCallum. Wednesday May 29 at 11:00 am - The Textile Museum of Canada. Event Convenor Liz Mowat. Thursday June 13, all day - Stratford Festival Theatre. Event Convenor Susan Freeman. On March 26th, 15 members and guests of UWC enjoyed a memorable evening at the historic Heliconian Hall in the heart of Yorkville. 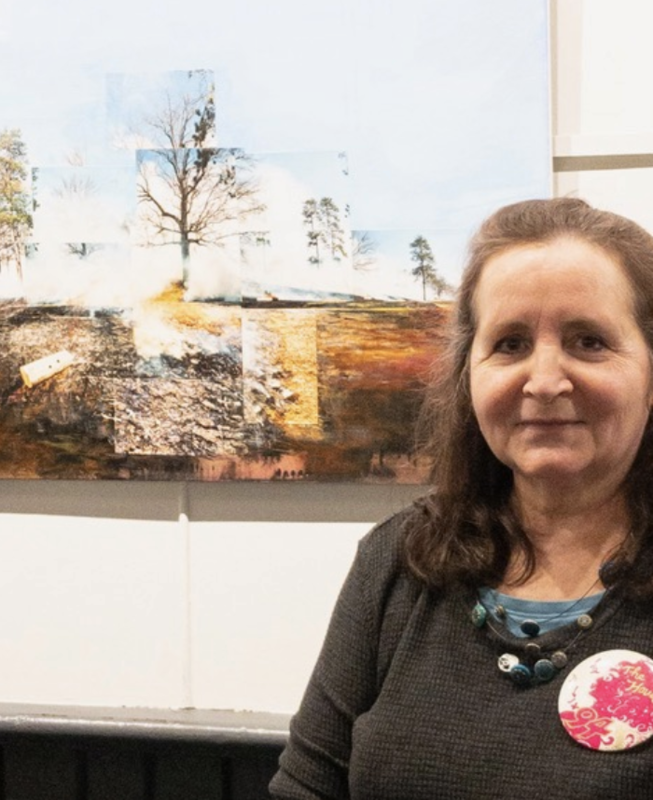 Before the Talk, Artist on Fire, we viewed an art exhibit tribute to Joyce Weiland (1930-1998) a ground breaking Canadian filmmaker and mixed media artist. Members of the Heliconian Club also presented their work that reflects on Joyce’s life and art. Frances Patella, a photo-based mixed media artist, and former assistant to Joyce Wieland, related stories giving us an insight into Wieland’s life and studio practice. She shared how her work has been impacted as a result of her time with Wieland, and reminded us of how female artists in Canada have often been ignored, forgotten and marginalized. Special UWC guest, Betty Ann Jordan, joined us that evening. 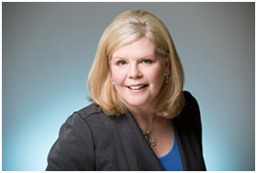 Founder of Art InSite tours, Betty Ann is an arts writer, commentator and cultural tour expert. Thanks again to the Heliconian Club for a warm welcome, fabulous refreshments and enjoyable evening. Sabai Sabai turned out to be a big success. It’s only flaw was the sound level and the poor acoustics. The food was outstanding. The owners are part of the family that owns the popular Pei Restaurant and both rely on Northern Thai cuisine. We accidently broke into two groups. The first group all ordered their own dish. The second and larger group decided to do just one order with diners being able to taste and sample from four different dishes. Sabai Sabai’s most popular dish, by a landslide, is their Pork Gra Prao. It was very good. But another star was their Thai BBQ chicken. Thanks to Ellen Thompson (who spent a majority of her youth in Thailand) for recommending the place and, also to Elizabeth Black for discovering the BBQ chicken. It really was outstanding. Make no mistake! Joan Connolly is an artist. Joan braved the inclement weather and drove from Aurora to be our Spotlight speaker on February 20th. She has been the proprietor of Pine Door Salon, for over 30 years, offering a wide range of skin care services. Joan is a skilled technician with multiple advanced certificates in skin care aesthetics and a business degree from Seneca. Regardless of a client’s age, Joan uses a technique that is not about disguising age, but rather allows everyone to put their best face forward. The evening talk was informative and fun, followed by dinner in the pub. 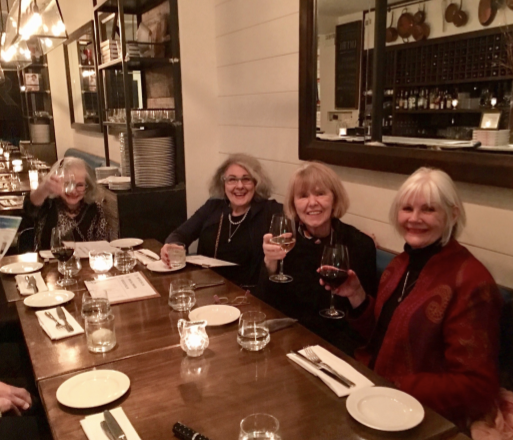 On January 9, nineteen of us met at Ruby Watcho on Queen St E to kick-start our 2019 International Dining adventures. Opened in 2010 by celebrity Chef Lynn Crawford, renowned for her culinary expertise and a long time star on the Food Network, this restaurant brings back simple wholesome food. Co-Chef Lora Kirk has international culinary experience and has won many awards. She returned to Canada in 2010 to join Chef Lynn, and is an advocate for supporting local farmers and growers. 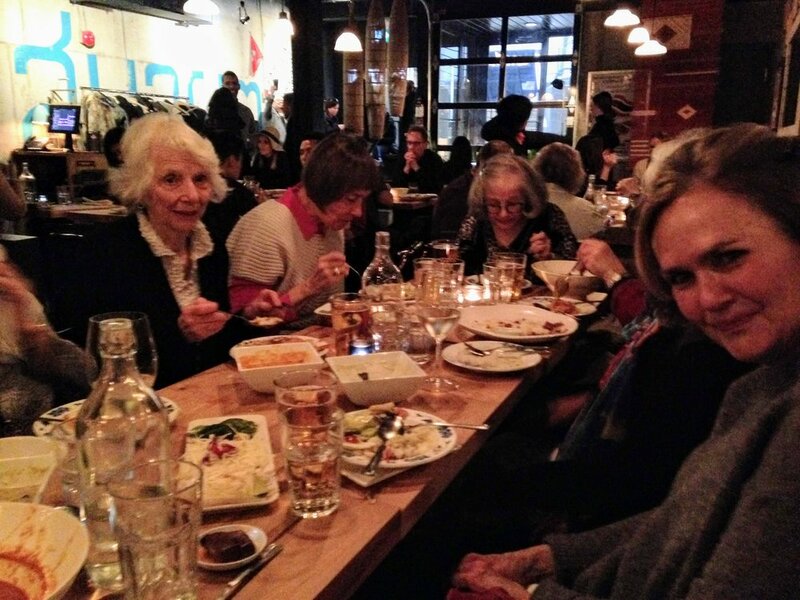 The dinner was a fixed menu shared by all. See the February newsletter for course-by-course details. Overall a lovely meal we would all highly recommend. 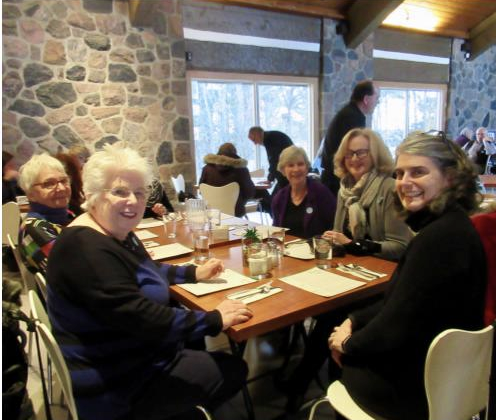 Sixteen of our members gathered at the McMichael Gallery in Kleinburg on January 11 to visit the David Milne Exhibition. Even though it was a frosty day, everyone was in warm spirits as our docent , June, shared her vast knowledge of the artist's life and his painting technique. Luncheon after the tour, once it arrived, was delicious. Many thanks to the drivers, Marianne, Susan LR, Kathy, Ruth and Mary. Due to the enthusiastic response perhaps we should consider future art outings. 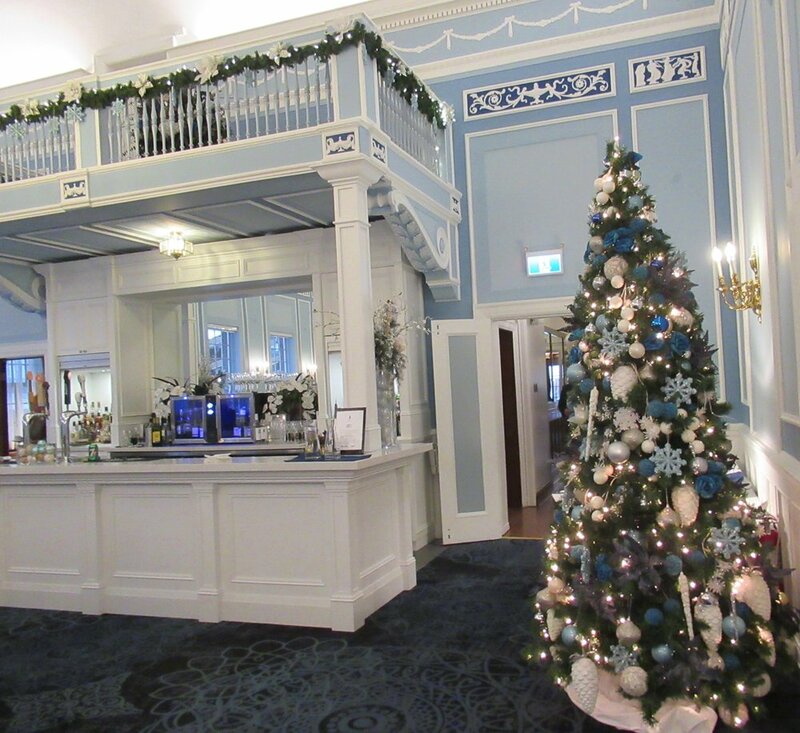 their Annual Festive Party in the beautiful lounge at the Faculty Club. representatives from Romero House to be delivered to their refugee residents. The Memorial Luncheon on December 6th had an excellent turnout to hear Peggy Nash speak about Ending Gender-Based Violence. Members from all six Central Toronto Clubs were inspired by her messages: The fight for women’s rights is never over, it’s a comma not a period; and the more women gain positions of power, the less they will be viewed as vulnerable targets. This shares the tenets of the CFUW that is dedicated to advancing the status of women and supporting the education of women and girls. 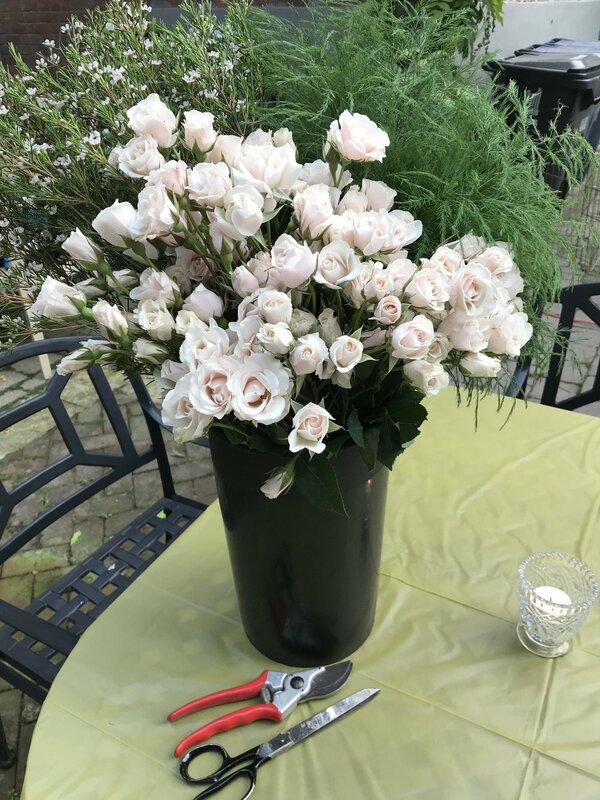 Over 20 of our members and guests had the pleasure of learning the skillful art of flower arrangement on November 20, from one of our newer members, Lily Contento. Lily highlighted real estate dynamics and the importance of visual appeal, in her presentation, “How Does Your Money Grow.” As an agent (www.ListWithLily.ca) and the owner of an online flower shop (www.foglie.ca), Lily has successfully paired her professional expertise, recognizing the value of flowers as a staging strategy. Mary Aziz and Martha Dove were delighted to win the breathtakingly beautiful arrangements in the draw at the end of the evening. On Monday, November 5, 2018 there was a good turn out at our Annual Business Meeting to discuss UWC Toronto's financial status and planned charitable giving. UWC Treasurer, Kathy Nolan-Garner, presented September 2018's financial statements and gave an overview of past and present donations. She noted that since 2012, UWC Toronto has donated over $275,000. At the meeting, members approved additional giving in 2018 of $5,000 to CFUW 100 Year Anniversary Scholarship, and $2,000 for post-secondary scholarships to graduates in schools in the old city of York. For 2019, members approved donating $30,000 to our new charity UWC (Toronto) Foundation to be used for post-secondary scholarships for students, as recommended by the Scholarship Committee and approved by Board of Directors of UWC (Toronto) Foundation. Eleven of us met up at Country Style a Hungarian restaurant on Bloor just east of the Bathurst subway. While the meals were very good, and the two wait staff were doing their best to put all of us at one table, the wait time for service was long. The dining room was full! I think all of us took home doggie bags as the servings were huge. On September 24 UWC member Ellen Thompson shared the story of her life growing up overseas and her search for the perfect answer to the simple question, “Where are you from?” She took us on a wonderful journey covering Africa, Asia and Europe. 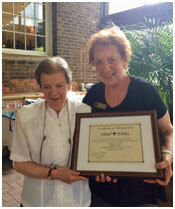 The Golden Memories Tea party was held on September 18th at the Amica/Balmoral Club to honour our senior members. As Honoured Guests arrived they were welcomed with beautiful sweetheart rose corsages that had been lovingly made by club members the previous night under the guidance of the very talented Lily Contento. The sun shone through the atrium windows on the tea table laden with delectable goodies as Judith Lewis and Nancy Lunney graciously poured tea for everyone. After lunch, several of our senior members related past stories of the club in earlier days, much to everyone's delight. Many guests were thrilled to catch up with former friends. At the close, some elder members asked "When can we do this again! 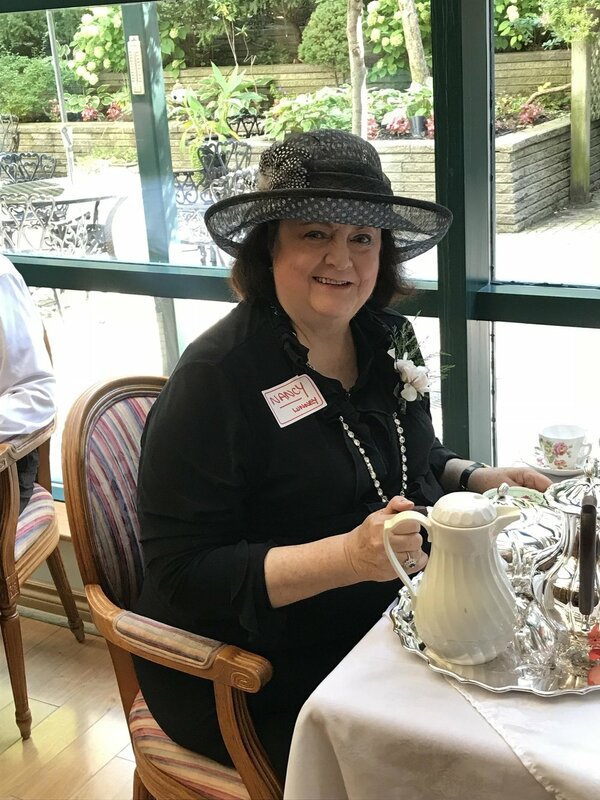 The day before the tea, members met at Rosemary Hale’s home and worked long into the evening making beautiful rose corsages under the guidance of Lily Contento. The corsages were given to our senior members at the Golden Memories Tea Party the next day. On September 6, these Drama Queens enjoyed a wonderful day at Stratford, taking in The Tempest andTo Kill a Mockingbird. On three warm summer evenings, July 11, August 1 and 22, UWC members met on the Patio to relax, chat, meet new members, and reconnect with good friends. Such a lovely way to stay in touch during the summer. On Saturday, May 19th UWC Toronto members and guests arose very early to witness the wedding of Harry and Meghan, the Duke and Duchess of Sussex. We arrived at the Windsor Arms Hotel at 6:00 a.m. all decked out in our finest with fascinators and our gentleman guest in tails. A lovely “royal” brunch was served. The room was full of other guests as well, so a festive time was had by all. At the 2018 Annual General Meeting club members heard and read reports from the auditor, David Burkes, the President, the Treasurer and some convenors. The treasurer, Kathy Nolan-Garner, requested several motions concerning the administration of dues and various housekeeping items. Our legal counsel, Shelina Ali of Iler, Campbell LLP, was present to answer questions concerning the proposed amendments. The president and treasurer also answered some questions and explained the need to change the constitution with the amendments. There was some discussion and the three amendments to change the financial structure for the awarding of funds were passed by the membership. A new constitution is being prepared by a committee, chaired by Past President, Judith Lewis. We hope to streamline our constitution and to set out the responsibilities of the new Charitable Activities Committee. Deborah Maw spoke of the work of the Heritage Fund and thanked those on the Heritage Fund Board and Scholarship Committee. The board is encouraging members to get involved with the various committees and the outreach work. On March 26th Talisha Ramsaroop fascinated the audience with details about the work she’s doing in her neighbourhood of Jane and Finch. She maintains that stereotypes and stigma can be detrimental to one's perception of oneself and cause barriers in education. Thus she works to empower youth in this neighbourhood to develop their skills and talents and pursue further education. For her community advocacy, on March 9, 2018 Talisha received the Pam McConnell Award for Young Women in Leadership. 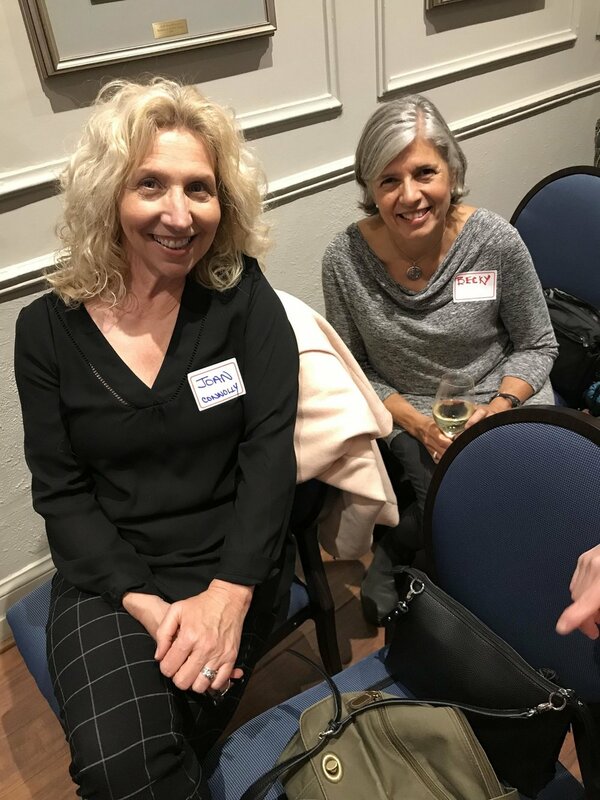 A wonderful presentation was delivered at the February 18 Spotlight evening by Martha Dove, who explained the intricacies of the introvert and extrovert personalities as they present in personal and professional settings. Thank you Martha for sharing your insights and experiences with us about this fascinating subject. 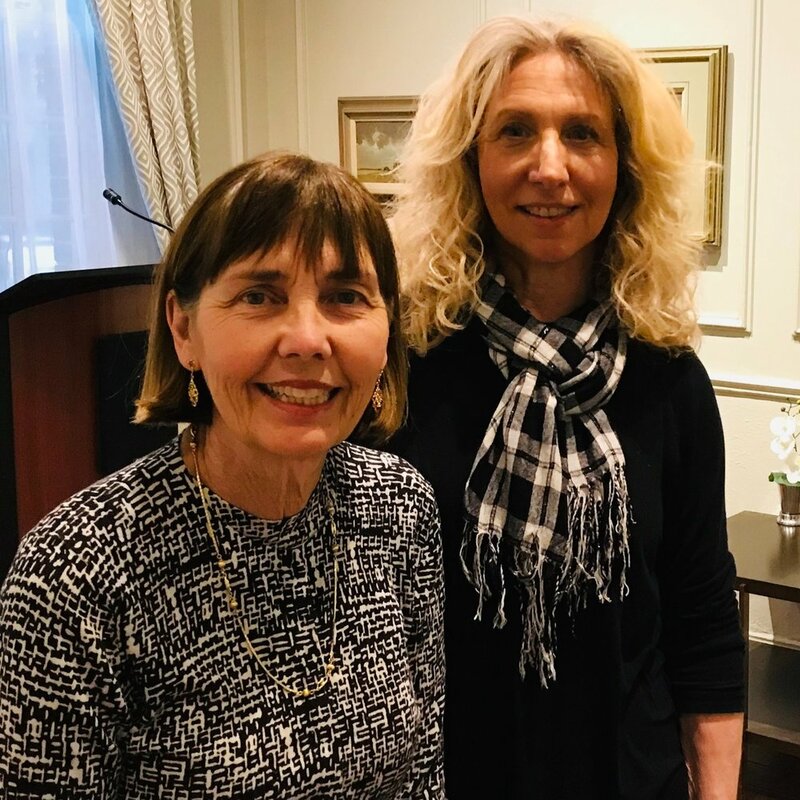 On January 17th a large, interested group of members and visitors enjoyed a fascinating presentation on Bhutan by Marianne Anderson and her friend Leslie White. Marianne articulated the wonders and uniqueness of this tiny country, and Leslie, a professional photographer, impressed us all with her captivating photos of this unknown gem. December 12, 2017 we had the pleasure of celebrating the season with the sweet voices of the Kai Syrian Children’s Choir. We also shared our festive dinner with their parents, and received warm wishes from our special guest, Mary Jo Leddy, founder of Romero House. The "spotlight" on Georgina on October 10th hardly seemed adequate to accommodate her brilliant story. It's a story of her unpaid volunteer work (eg as a Rotarian) burgeoning into a consulting career helping two worthy charities in the mental health sector (Pathway Clubhouse in BC and Progress Place in Toronto) to step up their game with increased visibility (new logo and novel publication methods) and imaginative fundraising. It was readily apparent that Georgina's magnetism was a significant factor in addition to her indomitable will. Success on all counts but presented by Georgina as an unfolding of a natural evolution. Woof, worrywart, wrinkles, whatchamacallit… these were just some of the "w" words discussed in the Wellness Wednesday discussion group led by Marianne Anderson The group met once a week for 4 weeks to learn and share information (and misinformation!) concerning all aspects of wellness, particularly for women in middle age and beyond. Topics included waistlines, wine, health care, relationships and more. But a key takeaway was that there is so much more to wellness than these obvious ones that first come to mind. Such as WONDER… consider a baby's toes, a wagging tail, an orchid, morning dew. And some good advice on the "w" word WHINE… just don't! Come join us in the Pub the last Thursday of each month to welcome new members, reconnect with fellow members, chat and enjoy. On September 18, 2017, we hosted an amazingly successful fundraising evening. 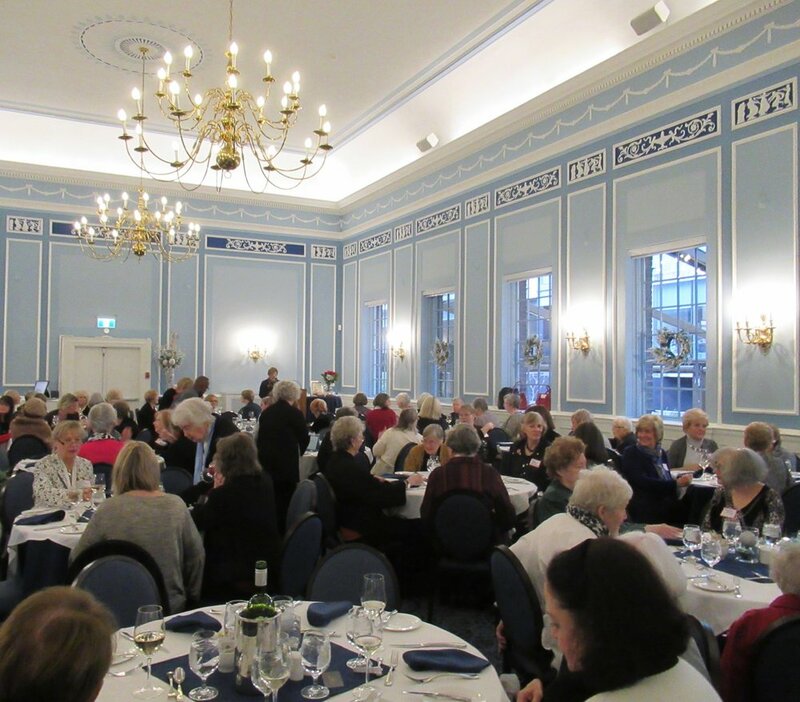 Over 200 people gathered at the Faculty Club, which was transformed into a festive 'Night in Seville'. Guests were treated to sangria, wine, tapas, hors d'oeuvres and serenaded by classical guitar. The highlight of the evening was a beautiful flamenco dancer in her flaming red dress, with castanets and stomping heels. 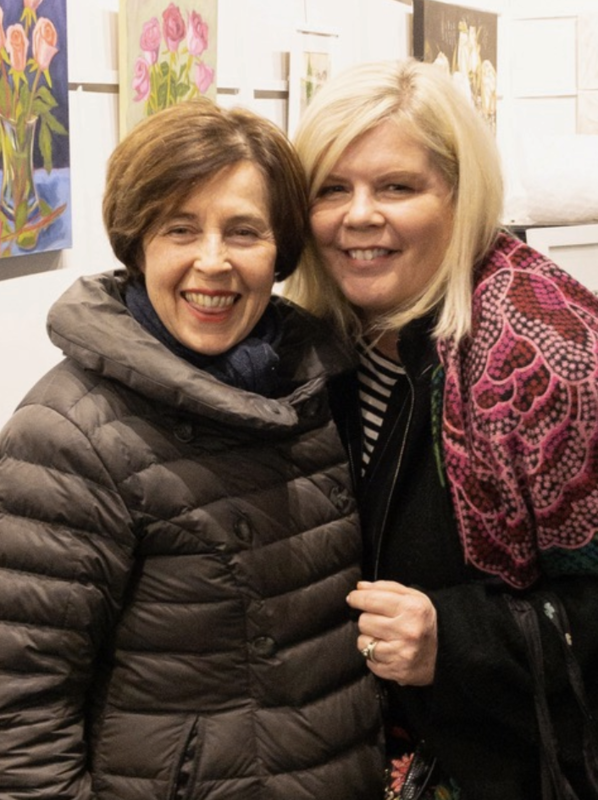 The Silent Auction of 40 items included art, antiques, jewellery, gift certificates, theatre and sporting tickets; plus there were numerous raffle and door prizes, all thanks to our generous donors. When it was all tallied up, we were delighted and proud to report that we will be giving $15,000 to Romero House. 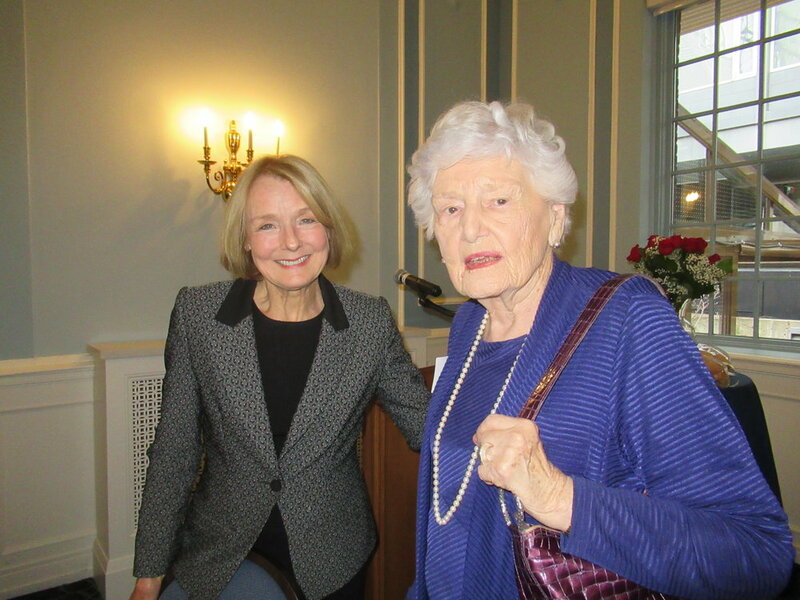 Its founder, Mary Jo Leddy, addressed the audience reminding us of the importance of a warm welcome - whether to our fellow University Women's Club members or to new refugees to Canada. Like last year, this year's donation from UWC to Romero House will be used to buy laptops for young women, providing them with a crucial tool for success in Canada. We are fortunate to have such a strong relationship with this wonderful organization. Date: July 11, 2017 Jo-Lynne Sutherland treated members and guests to an insightful talk featuring photos and facts about her six years in Saudi Arabia. After her presentation, outlining past and present Saudi politics, religion and "baby steps" forward concerning the rights of women, coupled with her candid commentary, listeners were bursting with questions. Merle Amodeo, a published author, read several poems from her book, After Love. Read in her calm soft voice, her beautifully written poems evoked vivid thoughts and emotions from her appreciative audience. The patio was packed with UWC members and friends who wanted to express their gratitude to Judith for the loyalty and dedication she has shown to UWC for the past 9 years. Glasses were raised, kind words were spoken, a lovely gift was given, and Patricia Joyce, CFUW Regional Director Ontario Central presented her with a special Certificate of Recognition. Despite the damp weather, spirits were high as we boarded the Stratford bus on May 25th, to see Twelfth Night, a romantic comedy, directed by Martha Henry. The production was excellent, filled with joy and mischief with a particularly strong performance from Sarah Afful as Viola. Everyone enjoyed themselves and each other on this delightful day, which has become an annual tradition for our members. Reception at 5:00pm, meeting at 5:30pm, dinner at 7:00pm Key issues will include the constitution, a process for investments and new job descriptions. Twenty UWC members gathered in the casual relaxed setting of the Faculty Club Pub to get to know one another better over drinks and dinner. Dawn Whitmore, DeeDee Poole, MargMcGiverin and our President, Judith Lewis told nostalgic stories about their days on St George Street when club spirit was high, despite financial challenges. Judith gave some brief remarks about her time as President, reminding us all of the Club's important mission, providing scholarships for young women who wish to pursue post secondary education. A plaque listing all UWC Past Presidents starting in1903 was unveiled and will be hung in the Faculty Club. The evening was filled with fellowship and fun, with all those attending expressing their pleasure in belonging to the University Women's Club.